Rockford Fosgate is known to make good quality car audio products like speaker, subwoofers and amplifiers. They've added a new product to their repertoire this year that can stream music over Bluetooth in your vehicle using an auxiliary port. The RFBTAUX is an adapter that plugs into your car's 12V power outlet. The device has a 3.5mm audio port and a USB port on it. 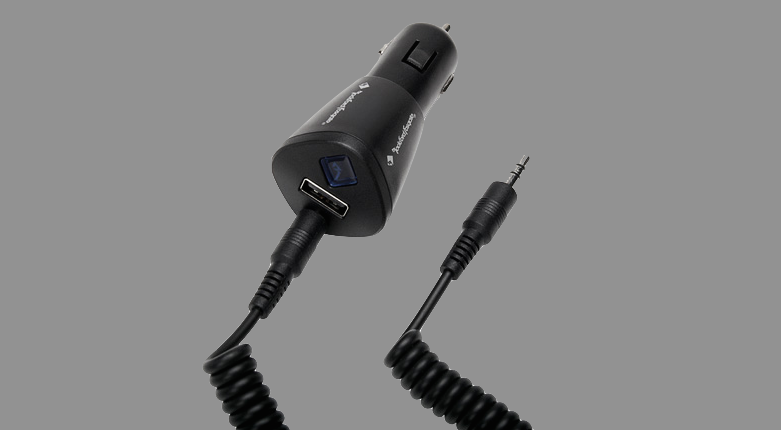 A 5-foot coiled audio cable (included) has to be plugged into the 3.5mm port while the other end of the cable plugs into your car's aux port. With 'one button pairing' you can pair your smartphone with the device via Bluetooth. A blue indicator light shows the connection status. The USB port allows users to charge their smartphone simultaneously. The RFBTAUX is compatible with most Apple and Android smartphones. It uses Bluetooth V3.0+EDR to allow audio streaming.